Frederike Yilmaz, Autor auf punker Blog - punker sehen, erleben, verstehen. September 29th, 2018 was a special day for punker. The company RATIONAL AG had its technical director Peter Wiedemann as well as Wolfgang Wirtz, Aldo Paintner and Dr. Uli Mach personally bring us very good news: the award of punker GmbH as “Supplier of the Year” 2017. RATIONAL AG is a very important customer for punker and manufactures combination ovens, i.e. “SelfCookingCenter” for the thermal preparation of food in gastronomy, canteen kitchens, chain stores and catering. In the meantime, Rational has advanced to become the world’s largest manufacturer in this sector. We have been able to accompany Rational on this path since 2002. 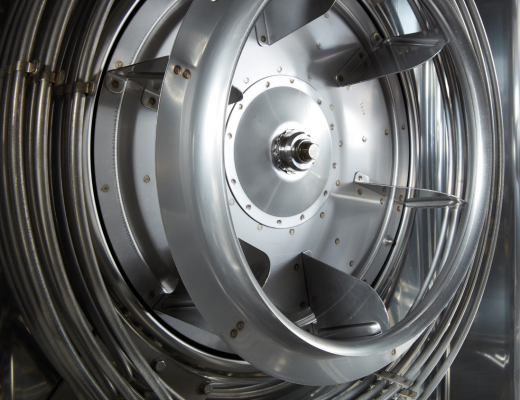 The fact that we have developed into a strategically important partner for Rational during this time is also shown by the development of the quantities of spot-welded fan wheels that we supply – these have increased 4.5 times since the beginning of the cooperation. 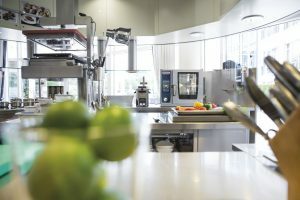 The fan wheels supplied by us guarantee a perfectly matched air distribution in the appliance for an even cooking result. Now for the good news: punker has again managed to become the “Supplier of the Year” with more than 96 points in 2017 due to the outstanding delivery and quality performance in the year 2017. In a solemn hour Peter Wiedemann emphasized the extraordinary performance of the punker team. 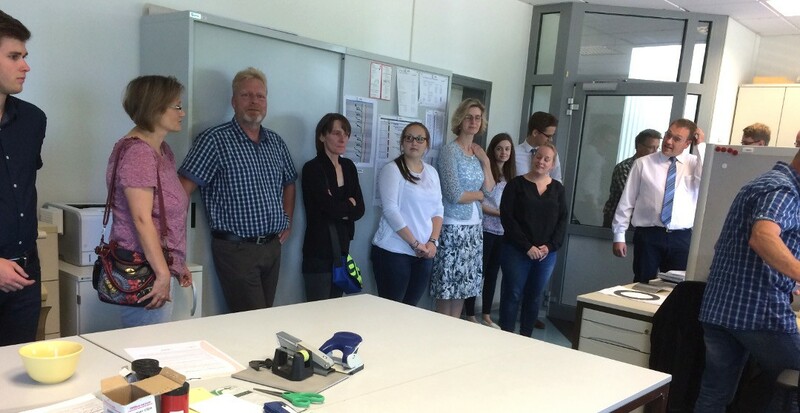 Around 60 colleagues were able to receive the great award this morning. After the first top ranking in 2004, a 2nd place in 2011 followed, which was transformed into a 1st place again in 2012. In the year 2017 our team has now reached first place for the third time. It is no coincidence that Dr. Uli Mach’s eulogy says “right up to the worker, everyone identifies with the Rational product”. At punker, we attach great importance to long-term cooperation with our customers – which has paid off in the case of Rational through repeated occupancy of the TOP 5 places in the supplier evaluation. 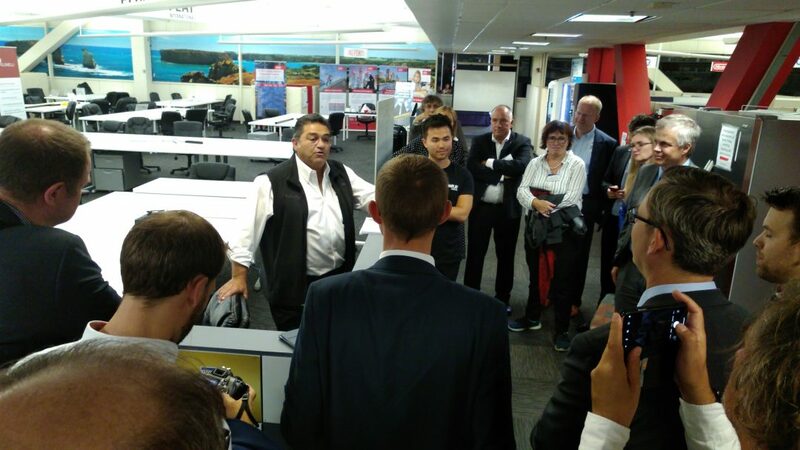 At the end of August I travelled to Silicon Valley as part of a delegation trip organized by the state government of Schleswig-Holstein under the leadership of Dirk Schrödter, head of the state chancellery – and flew home very impressed and enthusiastic. Other high-ranking representatives of the state government as well as the city of Kiel, the state parliament faction, the council meeting of the city of Kiel, many universities, the business development agencies, the Chamber of Commerce and the WTSH (Business Development and Technology Transfer), the economy and the initiators of the partnership regions around San Francisco and Kiel participated in the more than 60-member delegation. 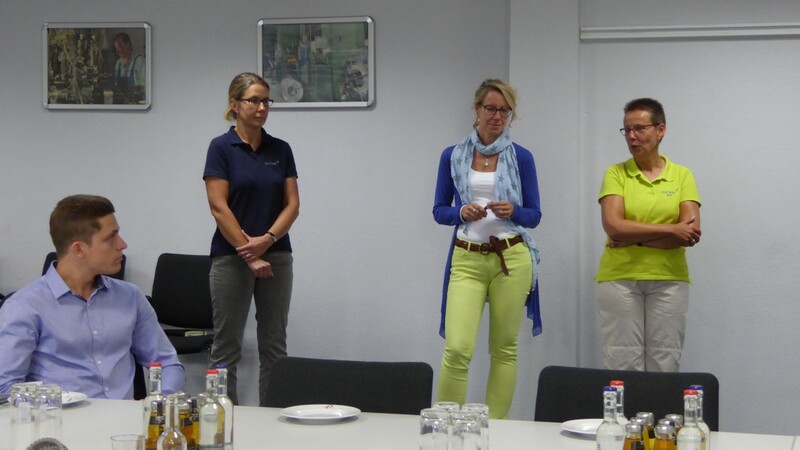 Star guests were the representatives of 4 start-ups from Kiel. 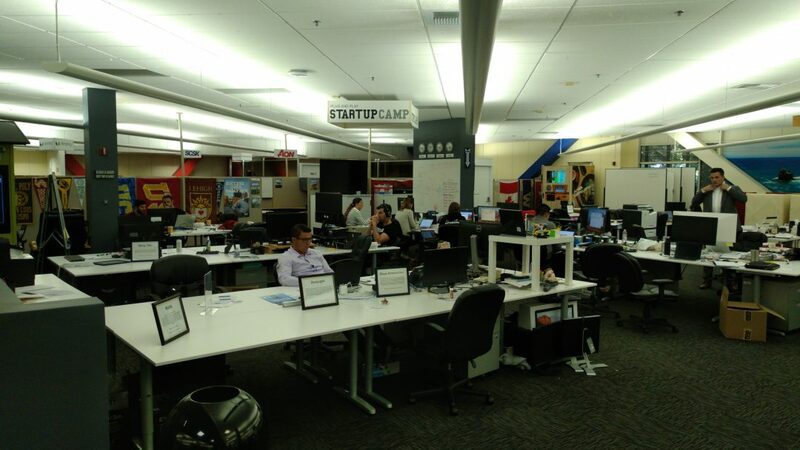 The innovative power of the Silicon Valley was particularly impressive from close up, which can be attributed to the interaction of university (Stanford University), venture capital and ambitious founders, professionally supported by accelerators that systematically bring the partners together – also with the scouts of large corporations, especially from Germany. 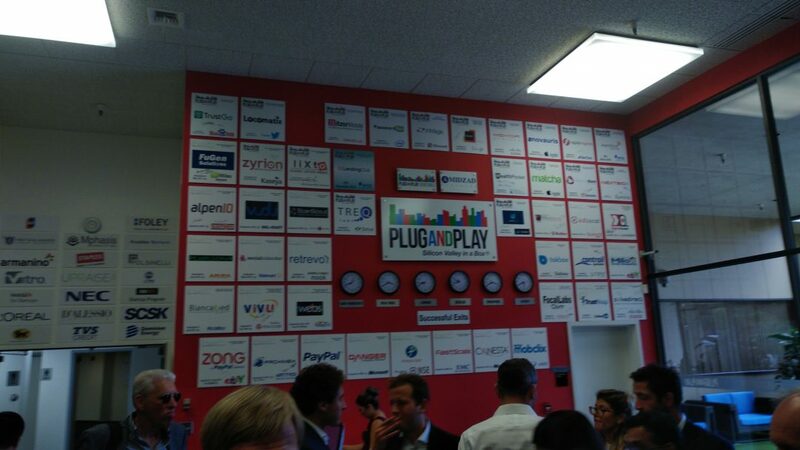 Plug and Play is the most successful accelerator. Together all partners are spurred to top performance – a bit like a fever for success. The results are known and can be seen. The delegation perceived and experienced these mechanisms of action and this culture together. And everyone was enthusiastic and convinced: that’s how similar we can be. A clear commitment to the cooperation of all parties involved, also in Schleswig-Holstein. I am confident that Schleswig-Holstein’s innovative strength – and thus its attractiveness – can be driven forward on the basis of this common spirit: what can everyone contribute to make it a success? A start has been made with the establishment of the Northern Germany Innovation Office in San Francisco, managed by Tim Jöhnk, a young man from Kiel who has been working in Silicon Valley for several years and has an excellent network. The perfectly organized trip was very worthwhile! I’m glad I was there. It’s round, it’s spinning, it’s impossible to imagine today’s world without it – the wheel. It is considered the most important invention of mankind and the key to technical development. And with it the origin of the punker fan wheels, which move air all over the world. 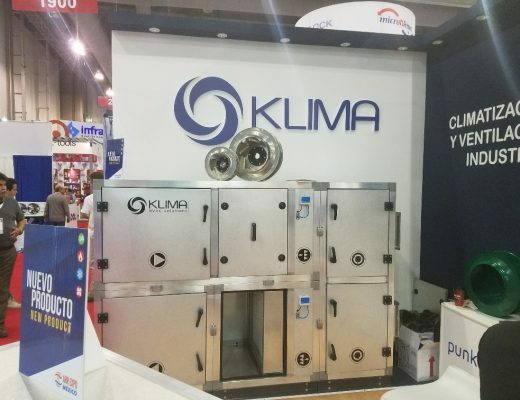 Air for the climatisation of office buildings, the cooling of compressors, for drying our laundry, for cooking of your dinner to perfection, to keep the air clean in paint booths and so much more. In our new corporate video, you will experience how we reinvent the wheel every day and move the world with true passion for innovation and over 60 years of experience. We leave idleness to others. And reinvent the [fan] wheel over and over – each and every day. Experience the innovative power of true passion. Experience innovative fan wheels, engineered in Germany. In 2018, energy efficiency was again one of the topics exhibitors and visitors were concerned with at the 2018 AHR Expo, which was held from January 22 -24 in Chicago. 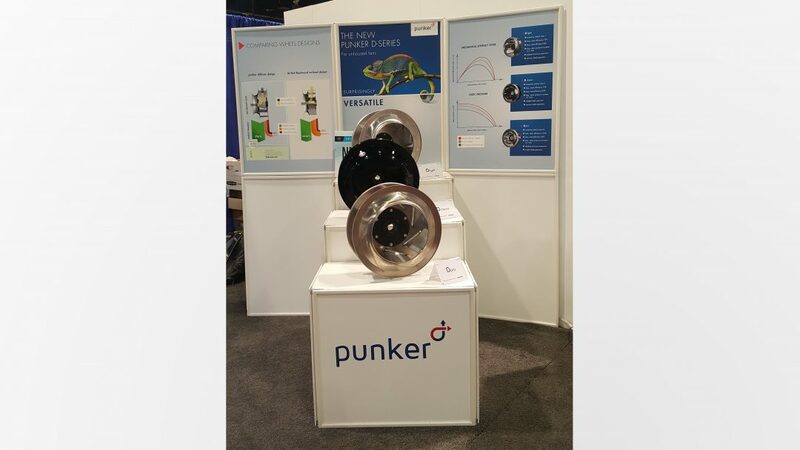 Thus, the punker exhibition team was thrilled about the great interest with which the high-efficiency D-Series fan wheels were met once again. 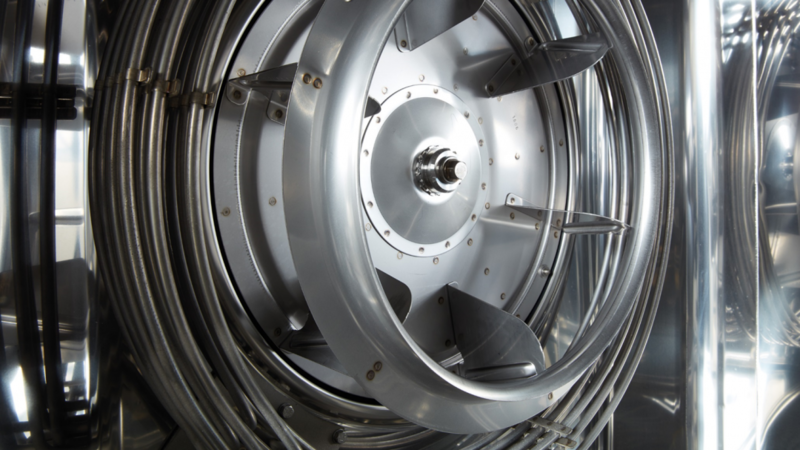 Presented for the first time was an extremely lightweight fan impeller in a welded execution: the Dlight – welded. 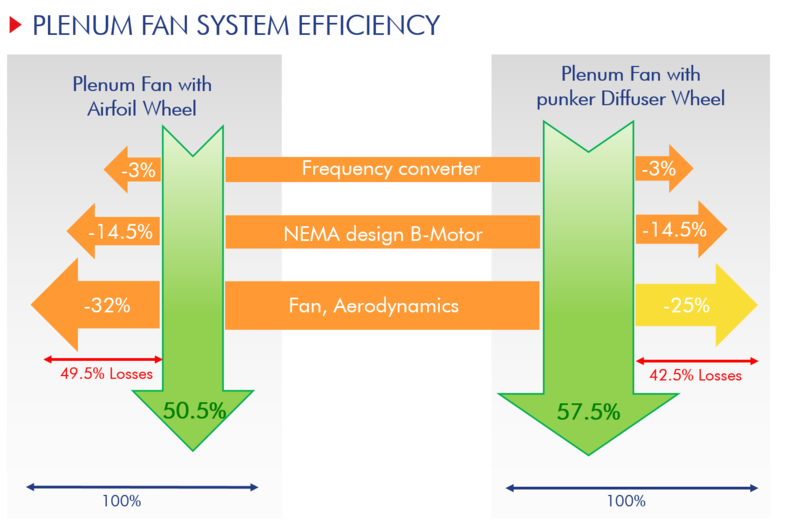 With the Dlight – welded, punker adds to the existing D-Series, a product range of energy-efficient diffusor fan wheels unhoused applications such as plug fans, plenum fans, and air handling. The welded aluminum impeller offers a high ventilation system performance paired with low weight and pleasant acoustics. It is suited for applications that require a static pressure increase of 4 – 5.5″ WG (AMCA Class I) and compatible with various AC or EC drives. AHR Expo is the most important exhibition for Air-Conditioning, Heating, and Refrigerating on the American continents. With an estimated 70,000 visitors and 2,100 exhibiting companies, this year’s show is the largest event since it’s start in 1930. 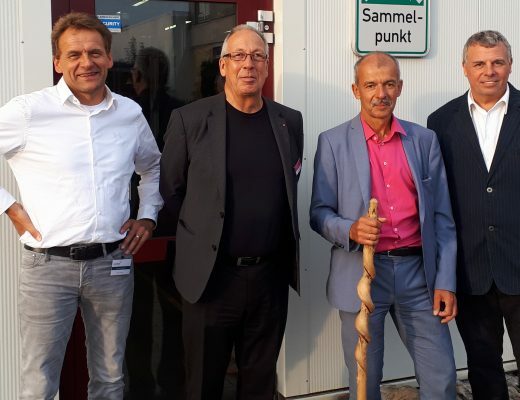 In the good company of industry giants like ebm-papst, Ziehl-Abegg, Rosenberg and Comefri, punker exhibited fan wheels “Engineered in Germany – Made in the USA” for the seventh year in a row. The record-breaking visitor count is congruent with HVAC manufacturers’ extremely positive outlook for the fiscal year of 2018. According to the latest AHR Expo and ASHRAE Journal Annual Economic Outlook Survey, 89% of responders expect excellent or good growth, up 15% from the already positive outlook in 2017. The development of sales indicates that this is not just a snapshot: 69% of respondents reported higher sales in 2017 versus 57% in 2016. The percentage of businesses with a significantly higher sales growth (more than 10% year-on-year) increased as well, from Und 23% in 2016 to 34% in 2017. 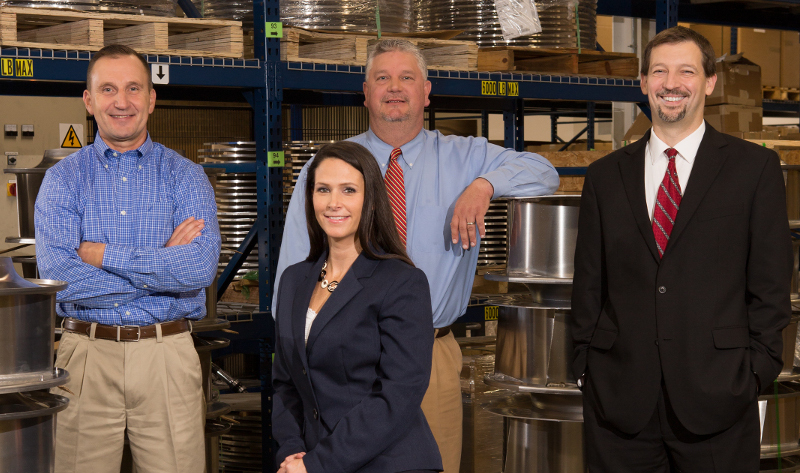 With such a positive outlook for the new fiscal year, many manufacturers are looking for the latest and best technologies and products. With regard to customer expectations, respondents continue to consider reliability and energy efficiency as the most influential factors in their 2018 buying decisions. 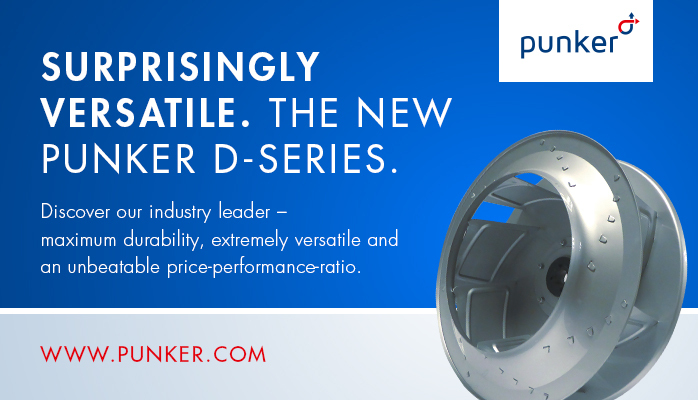 With the D-Series, punker offers the right solution for these market requirements. This was also reflected in an even higher number of visitors on our booth, compared to the previous year. 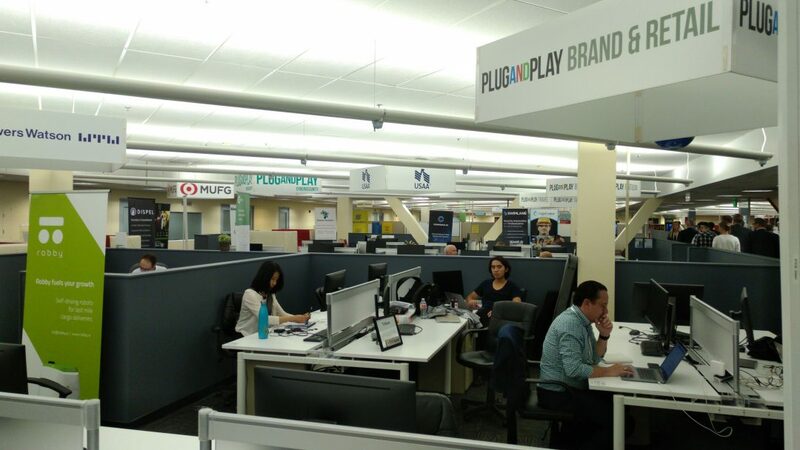 The punker product development and strategy team, made up of sales and R&D employees, is very close to the market and can therefore respond to the changing needs of our customers at an early stage and continuously optimize our product portfolio. Within a short time, four new blower wheel series have been introduced with the D-Series(Dlight, Dclassic and Dprime) and the Slight. The D-Series provides the answer to any challenge of unhoused HVAC applications, making it the best solution for your applications in which you have used our R63D1, R63D2 and R63D-HVAC series in the past. The Slight for use in spiral housings, as well as free-blowing, is ideally suited for certified F400 / C4 applications such as smoke extraction and heat exhaust. In addition, smaller sizes of the Slight can be used as a surrogate for less energy-efficient forward-curved wheels. With the Slight, punker provides a sustainable alternative for the HLR70, R67 / 75, R69L1 and R63B1 series. 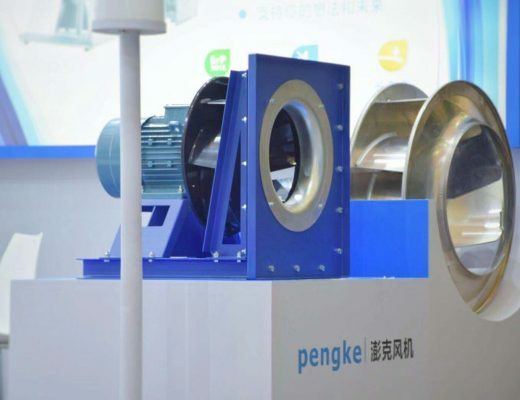 Over the course of the coming months, the punker product portfolio will be further optimized and consolidated so that our customers will always receive the best possible solution for their standard and high-tech ventilation applications. 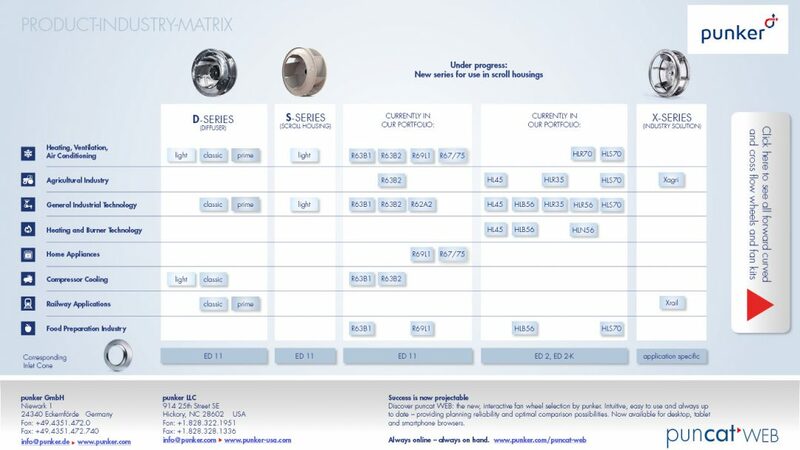 To speed up your search for the best suited fan wheel series for your application, we have structured our fan wheel series – the well-established and the newly developed – and their most important technical features in an easy to navigate, interactive series-industry matrix. Clicking a product name opens the fan wheel series’ technical features. 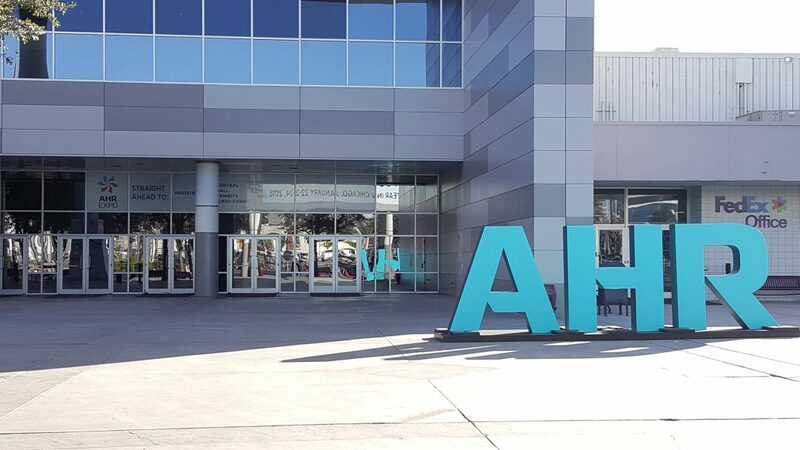 End of January 2017, the AHR participation (largest trade show for Air-Conditioning, Heating and Refrigeration in the US) was on punker’s agenda, already for the 6th time in a row. 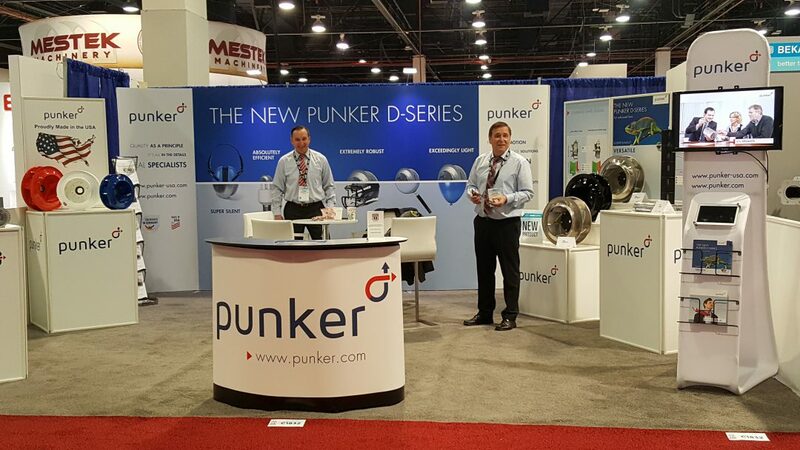 The presentation of the new, highly efficient punker D-Series was a home run – this year’s show in Las Vegas was all about energy efficiency. The exposition took place in the Las Vegas Convention Center (Jan. 30 to Feb. 1, 2017). Honestly, we had some doubts if Las Vegas was the right place for an industry trade show. But only 30 minutes after the opening these doubts proved wrong: The enormous appeal of ‘fabulous Las Vegas’ brought a visitors record already on day one. 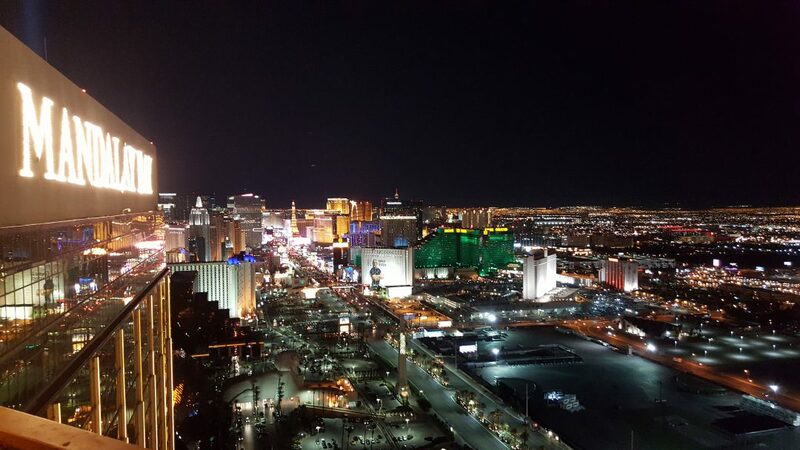 Obviously, many visitors combined a visit of Las Vegas and the trade show by arriving already the weekend before. Our booth in the Central Hall was crowded by visitors on Monday morning: Frank Mueller (Area Sales Manager North, Central and South America), Juergen Beinke (Director Global Sales) and myself had many opportunities to spread the enthusiasm for our new energy efficient D-Series. While the interest in energy efficient solutions was still low during the 2016 AHR Expo in Orlando, it had sparked very strong interest by this year. 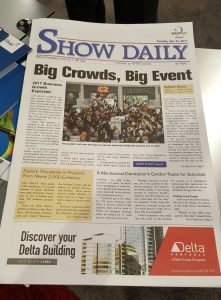 The yearly survey amongst the trade show visitors by the ASHRAE Journal (monthly journal published by the American Society of Heating, Refrigerating and Air-Conditioning Engineers) confirmed the increased awareness of energy efficient solutions: 60,5% of the 700 respondents indicated that energy efficiency is the most important aspect for their customers (ahead: 74,2% Reliability, 70,4% Cost). Only 4% indicated that customers are not willing to pay more for energy efficiency, almost 80% confirmed the increased willingness to pay more, another 80% is actively on the lookout for ‘green’ or sustainable products on the trade show. However, only 25% of the respondents notice a support or even incentives by the state to change to energy efficient products or technologies. By presenting ‚Increasing Energy Efficiency with the new punker Diffuser Technology’ in the New Product & Technology Theater of the AHR Expo, Frank Mueller and Juergen Beinke succeeded in demonstrating to even more trade show visitors, how the punker D-Series fan wheels increase the energy efficiency of free blowing HVAC systems and reduce the operating costs at the same time. Apart from energy efficiency, another aspect was a hot topic in many business discussions: The question if our products are made in USA. Already in 2016, we put a strong focus on showing that we are producing in the US. The significance of ‘made in USA’, however, has even more increased, mainly due to the ‘America first’ attitude of the Trump administration and their announcement to impose punitive tariff duties on certain imports from Germany. Whatever the reason for this question was – the fact, that punker produces in the USA for the US market is key to our successful business relations in this market. Next AHR Expo is from Jan. 22-24, 2018, in Chicago. Already looking forward to your visit on our booth No. 3337! 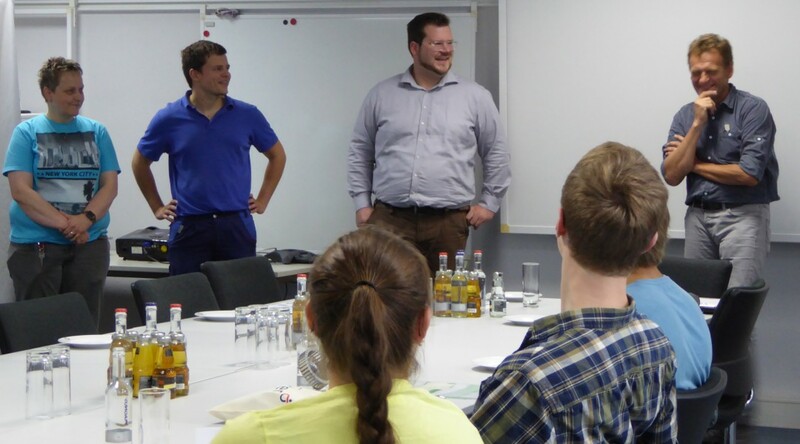 We are excited to be part of the program “Business skills for Ph.D.s”, organized by the doctoral candidate’s representation of Kiel University (CAU) and the Education Cluster opencampus.sh. 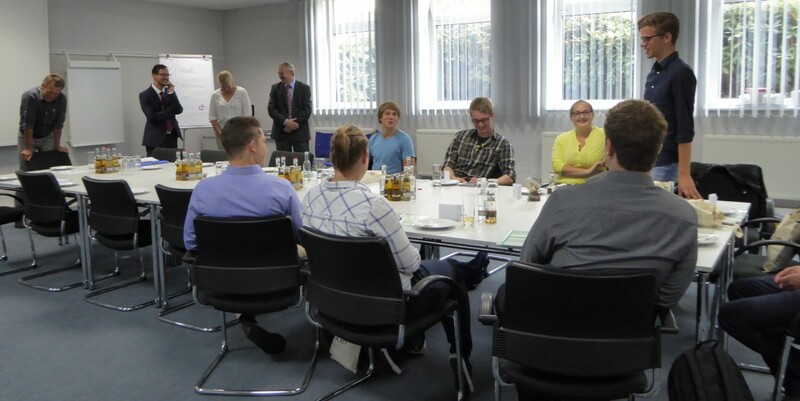 The program offers a unique chance to gain insights into the organization of 8 large companies in Schleswig-Holstein and Denmark. opencampus.sh aims at connecting Kiel’s colleges and universities with businesses and organizations. Students get a chance to apply their knowledge, look into different career options and find their own professional path. With the entrepreneurship program “job starter”, the opencampus.sh wants to guide and inculcate the entrepreneurial thinking in international students who are interested in launching their own ventures or invest in new business projects, with a lifelong commitment to achieve social and economic progress globally. Endurance and efficiency – these are not only the unique features of our punker fan wheels but this is characteristic for the whole punker team. Our key objective is to continuously optimize each product, no matter how good it is. Based on the former R63D wheels, we developed a new, highly efficient fan wheel series with integrated diffuser technology – in short: The “D-Series“. The unique characteristics of this series, specifically designed for unhoused fan wheels, is more than ‘state of the art’. The mechanical efficiency static of up to 75% is perfect to meet or exceed our industrial and ventilation customers’ energy efficiency requirements. We also focus on our customers’ cost effectiveness. This is why our R&D Team designed each of the 3 varieties of the D-Series not only with highest durability but also with optimal material input in mind. The Dlight made of aluminum is available in tapped version for a diameter range of 225-630 mm (9″ – 25″). It is preferably used in pressure ranges from 1000 – 1500 Pa (4 – 6 in. WG – AMCA Class I) with a tip speed of up to 55 m/s (180 fps). This fan wheel stands up successfully against the already available competitors’ products. The Dclassic works best in a pressure range from 1.500-2.500 Pa (6 – 10 in. WG – AMCA Class II) and is available in a diameter range of 225 – 1000 mm (9″ to 39 3/8″). This welded steel design with a maximum tip speed 75 m/s (246 fps) is powder coated by default and comes with the well proven taperlock system. The diffuser series would not be complete without the Dprime made of aluminum for a performance range of 2500-4000 Pa (10 – 16 in. WG – AMCA Class III), additionally optimized with regards to acoustics by airfoiled blades. This fan wheel is currently still in test stage and will be presented to the public in spring 2017. Being Sales Director of the punker group, I am firmly convinced that this new series with all its features provides an attractive product range that enables our customers to meet the current requirements for energy efficiency but also the costs resulting from these new requirements. With its three different types light, classic and prime the D-Series offers a big variety of applications and combines a lot of benefits in one single product family: super silent, absolutely efficient, extremely robust, surprisingly small and exceedingly lightweight. I am very much looking forward to show you all these benefits of our new wheel series in a face-to-face conversation. 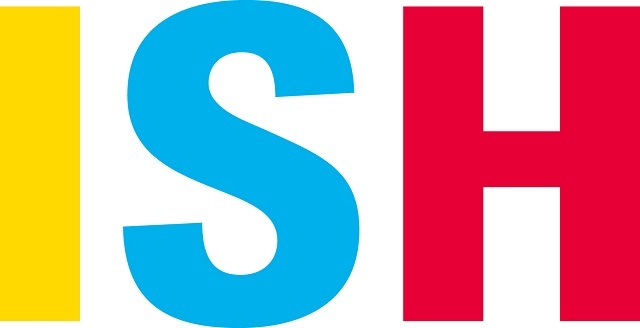 Meeting opportunities will be for example at the AHR Expo in Las Vegas or during the ISH in Frankfurt, Germany. Or feel free to contact our Sales Team at your earliest convenience. I would like to take the opportunity to express my sincere thanks to the whole punker team as well as for demonstrating amazing team spirit by developing these fantastic new products. 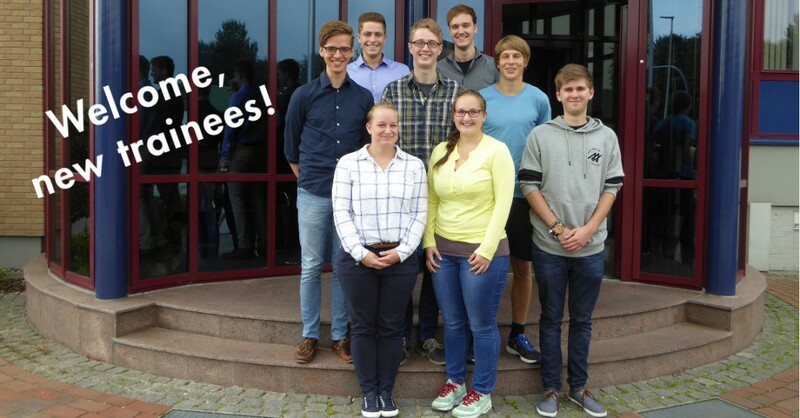 A warm welcome to our new trainees! Our freshmen’s first day at punker started exeptionally late at 10:30 am (thanks to flexible work schedules, working at punker is compatible with any kind of sleep habits, really). 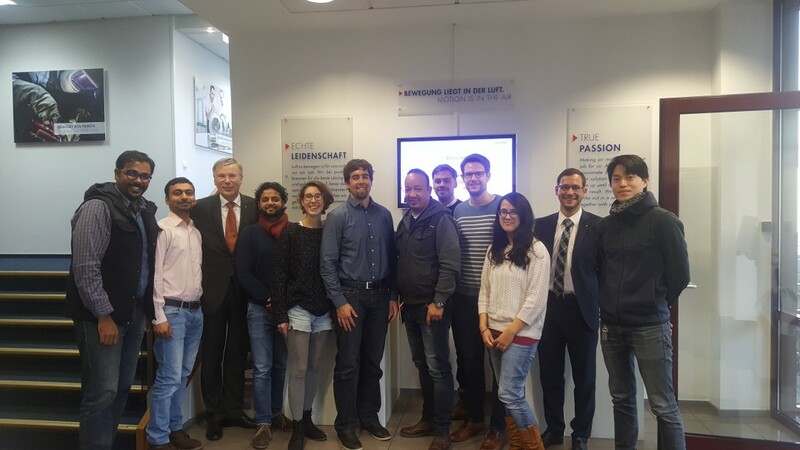 They were greeted by our Managing Director Dr. Bähren and a welcome committee made up of the training managers, team leaders and “old” trainees. After a round of introductions, the new trainees were equipped with their trainee binders and workwear before they started of to the trainee-operated “punker Shop” for a shopping spree. Clothed in punker polo shirts, tshirts or longsleeves, they revealed themselves as “the new ones” during the following tour of the premises. 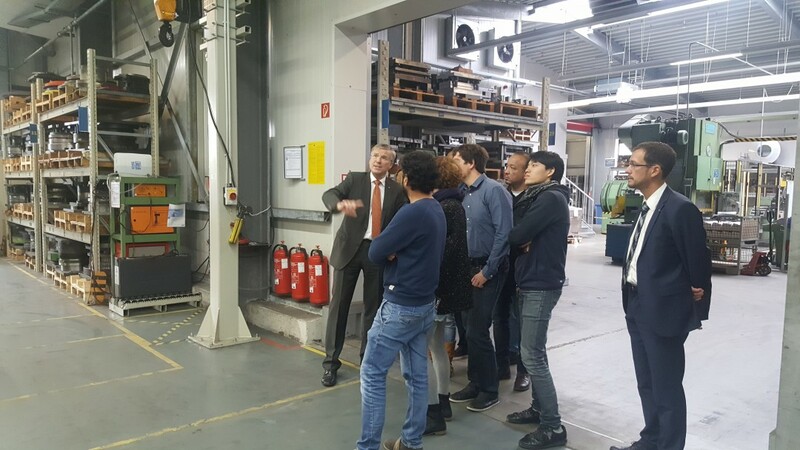 The industrial trainees were introduced to their future departments such as manufacturing, tooling and design by their training manager Joachim Peetz, while the commerical trainees were lead through purchasing, sales, order center and accounting by their training managers Felix Hegmann and Svenja Wriedt. This way, each trainee knows where they will start work the next morning. We didn’t want them to be overwhelmed on their first day, so we let them call it a day at 2:30 pm – which is half an hour before core time ends, by the way. The trainee binder they received on their first day includes a personal training schedule for the first year of training at punker. 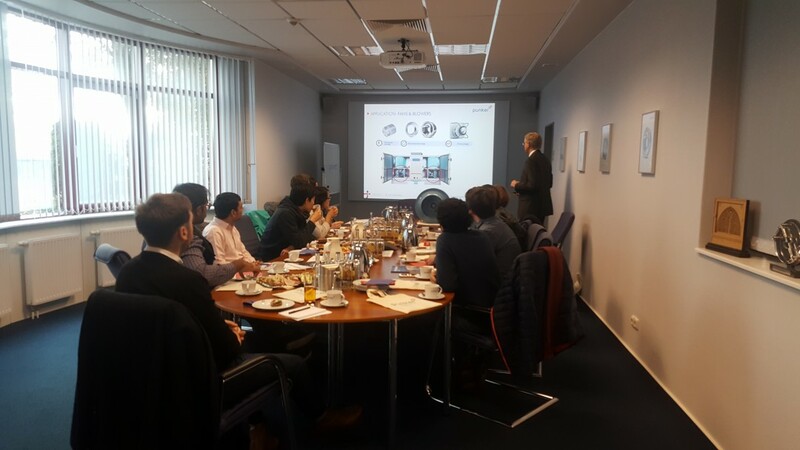 Until christmas, the commercial trainees Jana, Jannik and Christoph will tour departments which aren’t really part of their training: manufacturing, R&D, the warehouse and quality management. This way they will gain a an impressions of what punker acutally does and it will help them get a better understanding of how their work contributes to the big picture. When they get back from christmas vacation, they will start working in the commercial departments such as purchasing, sales & marketing, order center and accounting for periods of 3 to 4 months each. 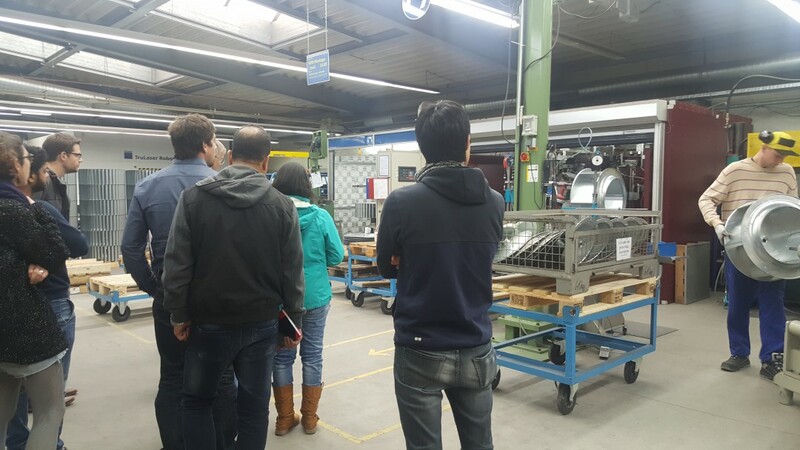 The industrial trainees spend the first 4 weeks at the training workshop of the nearby Lürssen shipyard, where they learn the basics of the craft before they start off in the respective departments at punker. The on-the-job training is complemented by vocational schooling – while the commerical trainees spent periods of 4 to 6 weeks in school, the commercial trainees have one or two school days per week. 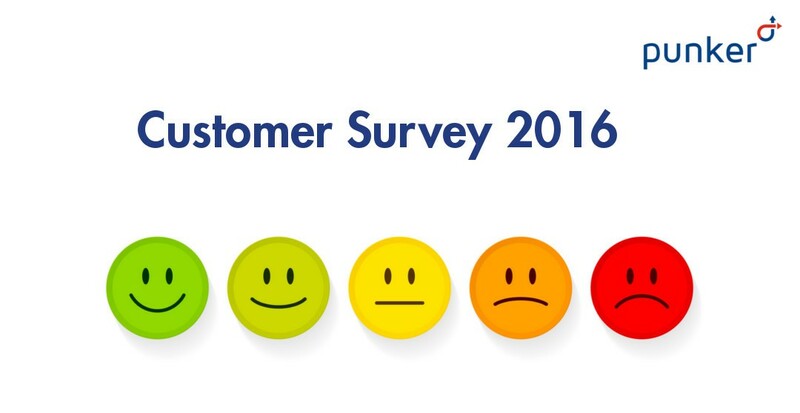 In Spring 2016, we conducted a comprehensive customer survey. Our customers’ honest opinion is invaluable for us to further optimize our products and services. It shows us how satisfied they are with our product range and reveals starting points for further increasing customer satisfaction. How was the survey conducted? While punker used to conduct customer surveys by sending out paper questionnaires by mail, we this year decided to do an online survey for the first time. Many of our customers valued the previous personal correspondance. However, an online survey offers a lot of advantages regarding the flexibility, handling and design and not least it is by far more resource-saving. We opted for the online tool SurveyMonkey, which we liked a lot. It lets you design surveys fast and conveniently, the survey can be distributed by differents means (automatically generated Email, sending out a link via Email, embedding the survey on a website or social media-channel) and offers extensive options for analyzing results. We decided to send out a link to the survey via personalized Email to a previously defined group of addressees. We have contacted 1,577 addressees from sales, engineering and qualtity management departments worldwide and devided these into two cohorts – A- and B-customers as well as C-customers. This way we would be able to analyze wether the different customer segments perceived or rated the quality of our products and services differently. The survey has been conducted anonymously in order to get honest feedback. 97% of participants are satisfied or extremely satisfied with the quality of our products. 98% of participants think our employess from Sales, Order Center, Engineering and Quality Management possess excellent professional competence. Some few participants see room for improvement when it comes to our technical information, such as data sheets, drawings or the selection sofware puncat. 69% of participants don’t know the punker Blog yet – but those who do like it very much. The ratings of our C-customers do not differ from those of our A- and B-customers. Our customers abroad rate us similarly as our German customers. 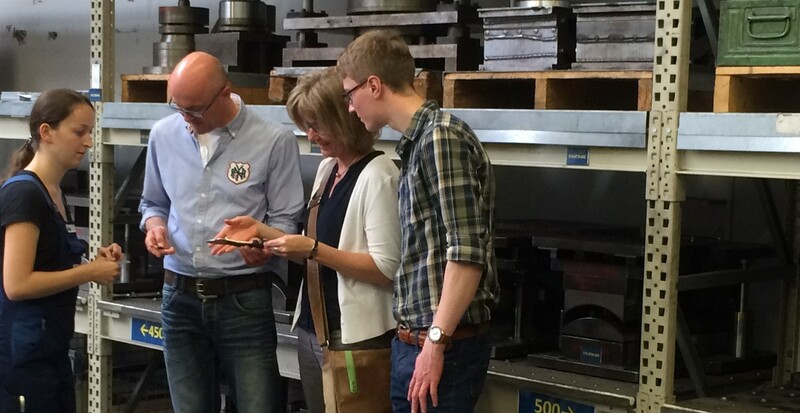 We are currently reviewing and revising our product data sheets and customer drawings. We are working on improving our reachability and reducing response times for customer requests. Our puncat selection software is being overhauled – a new web-based application will be released late Summer 2016. We will conduct the next customer survey in Spring 2017 to find out whether our efforts bear fruits. We thank everyone who participated in this year’s customer survey! Join us on a journey through the punker-World of Ventilation Technology. From Eckernförde, Hickory, Shanghai and many more places worldwide, our employees tell you about their passionate quest for new solutions.